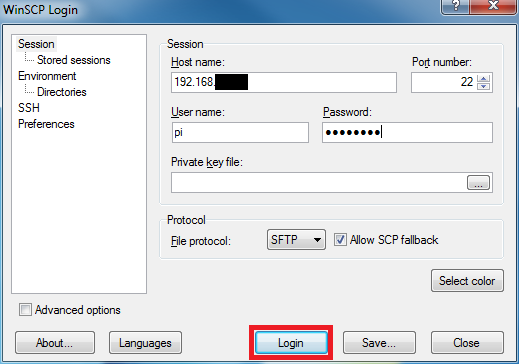 Download and install an SFTP client for Windows. 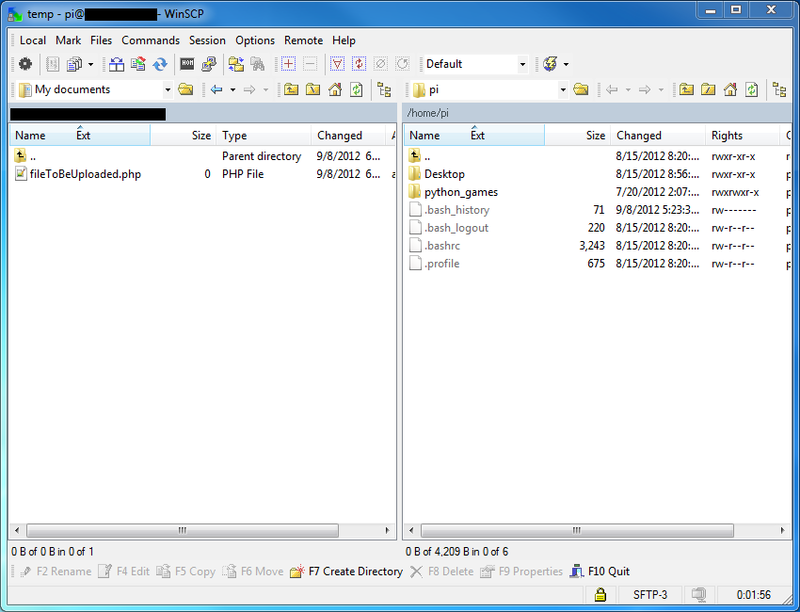 I use WinSCP which can be found here. After installing WinSCP, launch it from the start menu. Similar to setting up PuTTY you will be prompted to accept a security key. Click “Yes” to accept. Upon dragging a file over to the right pane you will see this box asking where to put the file. You should be able to upload to your home directory and nowhere else. You can copy to your home directory and then move the file wherever you want with an SSH shell. Click “Copy” to complete the transfer. You can then move the file wherever you want with the cp command in the SSH shell. If you’ve got a LAMP server set up, you could move files into /var/www to have Apache serve the files up. You could use this to upload PHP and HTML files to write a website served by the Pi. Anyway, you’ve now got read and write access to your Pi’s file system. I got a question here. I want to update files in the /var/www/ directory of the pi but it seems like I dont have the permissions. Are there any commands that would fix this? Once in the nano text editor use the arrow keys to navigate down to where it says PermitRootLogin and make sure it is followed by yes and not anything else. Then hit Ctrl+X followed by Y and enter to save and exit nano. Once you have changed the password, go back to WinSCP and now login using root and your newly created password instead of pi and raspberry.